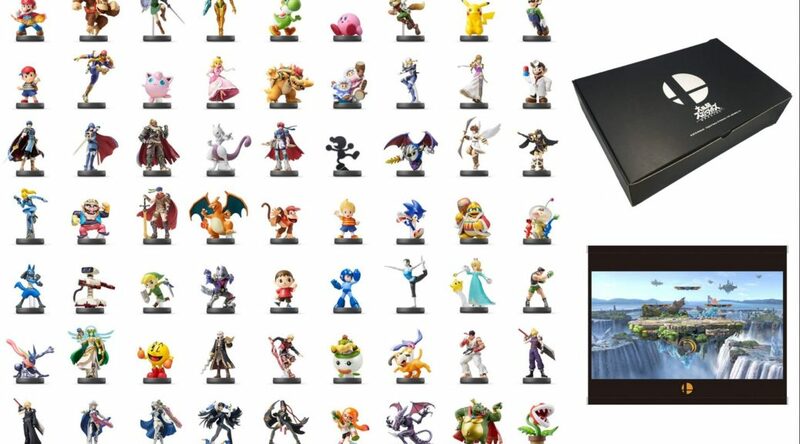 To celebrate Cyber Monday, Amazon Japan prepared a special collection of 63 Super Smash Bros. amiibo, box, and illustration set. Only 50 sets were available for purchase, and as of press time (4 hours since Cyber Monday started), all units have been sold and accounted for. We wouldn’t be surprised if all 50 sets were wiped out in less than a minute. The listing for the set revealed a few more details – as there are 63 amiibo, three shipments have to be made. The first shipment will be delivered from December 21 (24 amiibo, 1 illustration, 4 boxes), second shipment ships from January 31 (18 amiibo and 3 boxes), while the last shipment delivers from February 28 (21 amiibo and 4 boxes).